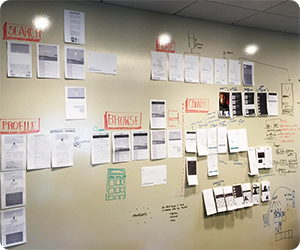 I co-created and led Catalyst Foundry, an internal incubator at Verizon, where I worked with a team of proven engineers, design and product experts across a portfolio of projects simultaneously in a startup studio model. I implemented the ideation framework and agile development process for a team of 25 that resulted in launch of 5+ seed-funded products in the first year. While at Catalyst Foundry and Verizon, our team was awarded more than 20 out of 25+ patents filed. 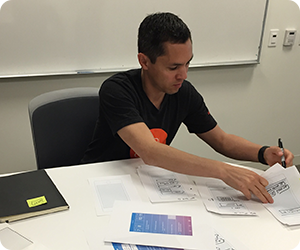 My focus was leading product design to explore and prioritize dozens of different ideas via rapid design sprints. Inspired by best practices evangelized by Google Ventures, IDEO and Stanford d.School, I drove a process of early concept validation through user stories, design prototyping, research interviews and analysis. I also worked with each idea creator or product manager to coalesce a concept into a compelling story and pitch presentation. 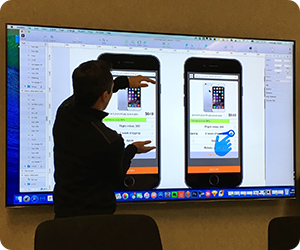 Once we were on to “something”, the real fun began: we iterated design, build and test — launched, measured and gathered feedback from users. 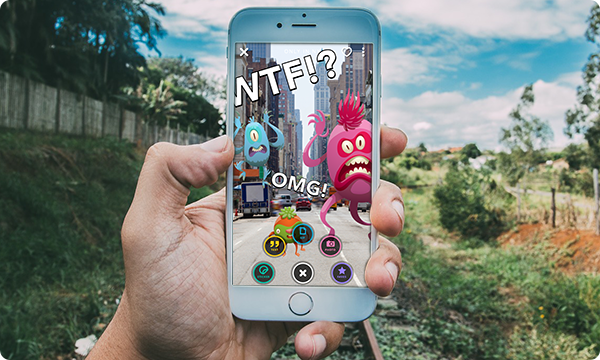 Just in time for augmented reality to hit mainstream, Outta lets you add filters, animated stickers, photos, GIFs, and messages in the real world to share with friends and others. 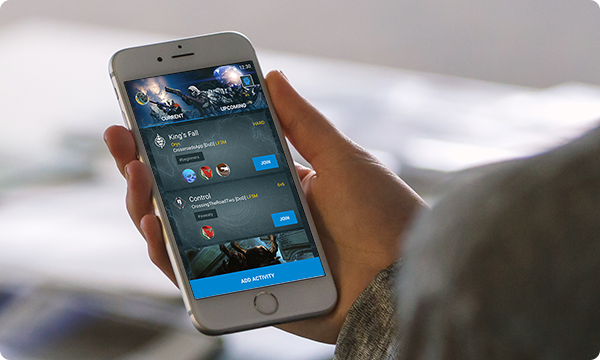 For players of the popular games Destiny, Overwatch and League of Legends, there is no slicker Team Finder app out there with this level of raid scheduling and management. Frienduel lets you compete with friends by predicting outcomes of upcoming events in sports, pop culture, business, music, entertainment, and more. If you can out predict them, you win. Simple. 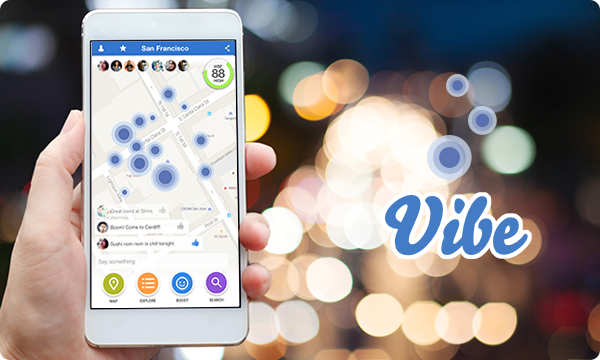 Vibe uses sentiment analysis to measure and evaluate locations based on “positivity” rather than “activity”. With a live visual feed, users can check and compare the vibe of different areas. 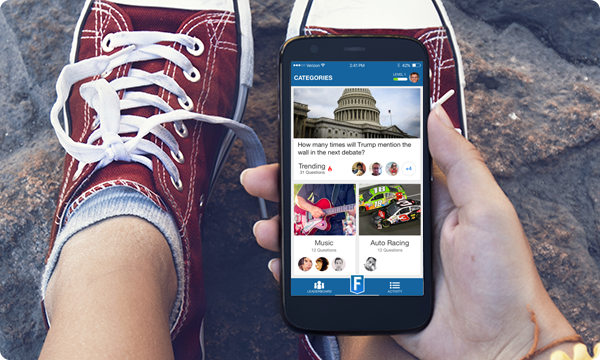 EnjoyCal is a centralized digital family planner that provides synced calendars, photos, weather, traffic and todo lists. 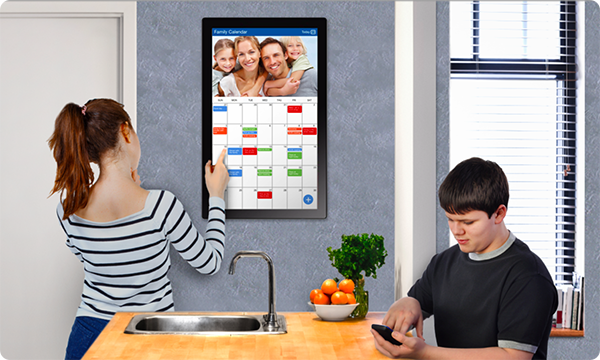 The lightweight internet-connected touchscreen easily mounts on a wall.